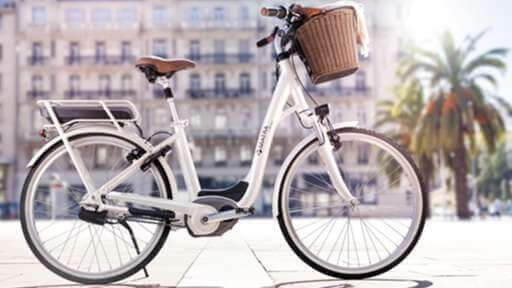 Designed and assembled in France, the whole of the range of electric bicycle Matra 2015-2016, opens new perspectives in the field of green travel proximity. Only manufacturer to offer, today, a complete range of 100% electric vehicles, from two to four wheels, the Matra offers the sector of the mobility of new opportunities for individuals, businesses and communities, and asserts itself as the undisputed European market leader of Solutions in electric Transport Nearby. For 40 years, Matra has built its reputation on a bold strategy in the automotive world : use the future as a driving force. A commitment that is felt through the adventures of the brand, its models, its innovations and its projects. Check out the epic Matra racing, and the characteristics of the mythical models, concept cars and production vehicles. Sustainable mobility, it is mobility smart, it is the choice of the right mode of transport for the journey. Environmental concerns and the analysis of our journeys have led Matra MS to guide his ways and his intelligence at the service of the research and development of new means of transport. 40 % of our trips do not exceed 2 km, and 80 % are shorter than 5 km. The average speed of the car in city is 18 km/h. The transport is responsible for 70% of emissions of particulates and 40 % of nitrogen oxide emissions (one-half only by car). The two-wheelers pollute almost as much as the cars and produce two times more noise. From these findings and based on its creative strength and its technological innovation, the Matra MS creates Transport Solutions in Electrical Proximity™ vehicles suited to new needs. A range of electric bikes high performance electric quadricycles brand since 2006 the entry of Matra MS on this new niche. The range is being constantly added to form a complete range of light electric vehicles designed for local communities, governments, companies and individuals. This activity is gradually replacing the activity of automotive parts and accessories, in the framework of the commitments made to Renault and its network. To the side of the products developed, assembled, and marketed under its own brand, the Matra MS offers its structures and skills in Manufacturing & Services to support the introduction of new services and assembly activities of customers and partners. After 40 years of daring and innovation at the service of the car, the Matra MS engages in the development, manufacture and distribution of light-duty vehicles and innovative electric propulsion. Matra belongs to the Group Easybike, N°1 on the French market of the electric bike. The electric bicycle Matra are designed and assembled in France since 2006.